I am here to express my thanks for all of your support through the nomination process until now. I wouldn't be standing here without your support and your understanding. First I would especially like to thank my parents. They brought me in to the world and raised me in such a way that I hope they are proud of me standing here today. My brothers, as well, were with me on this journey and I should probably admit that I learned much of what I know from their example. Next I'd like to express my appreciation to my husband and my children. There were certainly some rough times where we weren't really sure that this was worth it. Sleepless nights, worry, and stress. These things could have broken a lesser person, but with you all to back me up, I was able to stick with it. Lastly, to my co-workers I acknowledge my gratitude. You all have stood by me through the questions, the deadlines, the meetings, and more. 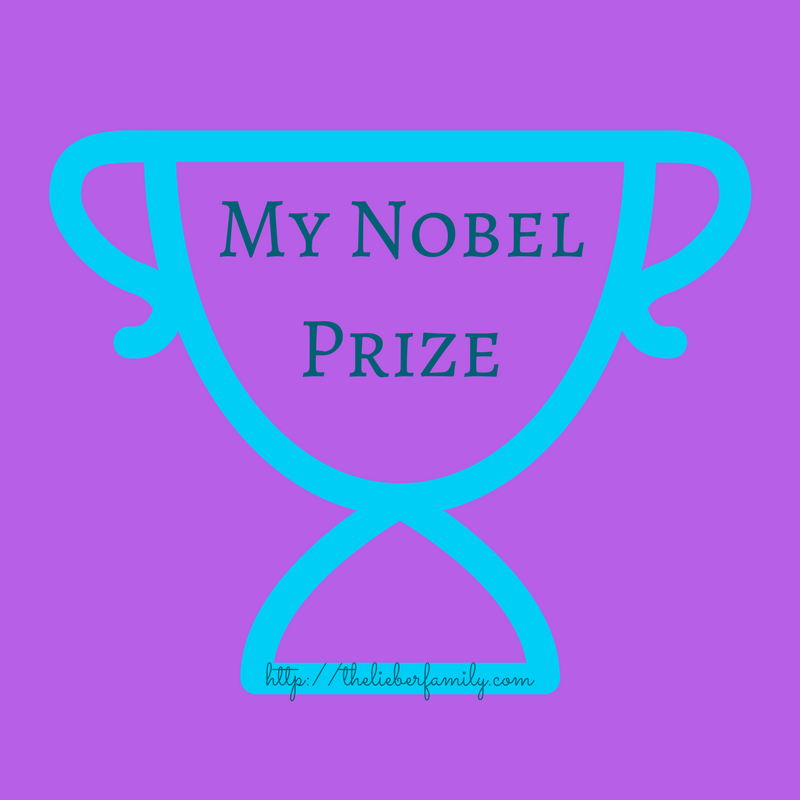 I truly wouldn't be here today, accepting this Nobel Prize for Goofing Off without you. Hey! Wait a minute! Where are you taking me?! Why are all the things from my desk boxed up like that? What's going on here?? What do you mean there's no Nobel Prize for Goofing Off?? I won this award fair and square!! I worked so...I mean, I earned, Well I...Never mind. I get it. It's a set up. I should have known better than to accept an award for Goofing Off."